The mission of the Global Online Academy is to replicate in online classrooms the intellectually rigorous programs and excellent teaching that are hallmarks of its member schools; to foster new and effective ways, through best practices in online education, for students to learn; and to promote students' global awareness and understanding by creating truly diverse, worldwide, online schoolroom communities. The 2007 Strategic Plan, Dalton resolved that “technology renders time and space variable.” The document also emphasizes the necessity to “further integrate global and interdisciplinary perspectives in our curriculum.” These tenets among others were catalysts in the decision to join other schools in founding this innovative and excellent Global Online Academy. Dalton's participation in GOA affords opportunities that enable our students and teachers to learn, collaborate and innovate with some of the best schools and educators around the globe. Our GOA students learn, collaborate and exchange new ideas with their diverse global counterparts. The program provides Dalton teachers a marvelous opportunity to engage in professional development for innovation in teaching. Finally, GOA offers unique courses not ordinarily available at Dalton and affords our students to work within their self-determined schedule, outside of the confines of time-space limitations. They can engage anytime and anywhere in which they have Internet access. Dalton is actively engaged as one of GOA's founding schools, both in student and in faculty participation. "Dalton has innovation in its mission and Go Forth Unafraid as its motto. As we examine trends in teaching and learning, we need to embrace the usefulness of online learning. Dalton's membership of the academy allows us to continue to be at the forefront of teaching and learning, it is in concert with our mission and motto, it is aligned with our strategic plan of global initiatives, and it provides rich opportunities for our faculty and students." ...learn in classes taught by teachers from exemplary member schools. The academy brings together a global network of leading independent schools toward a common purpose: academic excellence and innovation. from the leading independent schools around the world. teachers and curated by GOA. ...build global connections and community. In a discussion in our media studies class, one student from Jordan discussed 9/11 with a fellow student from Washington, D.C.—a unique dialogue that teased apart stereotypes around a contemporary issue. Global Health students compile their local knowledge around asthma to compare trends among different regions of the world. Academy courses are a unique opportunity for high school students to meet and work with peers from around the world. Teachers report this is the best professional development they’ve ever done. We’re making sure our teachers are at the cutting edge of their profession and the field of education. Students report a high level of engagement with their teachers in GOA courses. Teachers prioritize connecting with students and getting to know them as individuals and as learners. GOA teachers know each student in their class. Students have time to think through their responses—not just the quickest hand up gets heard. Students can go back to look at material from any date during the course. The online course structure razes the home/school dichotomy and affords a unique opportunity for classes to move beyond the traditional schoolwork and homework pairing, allowing a fresh approach to teaching and learning. Teachers undergo a rigorous training program before teaching a GOA course; both teachers and courses are evaluated regularly and held to similar standards as all of our schools. 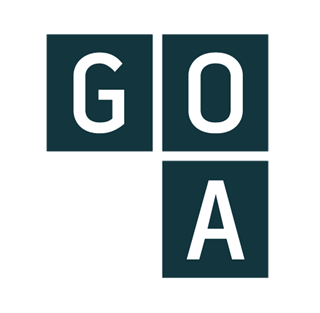 GOA offers students an expanded course selection, providing more opportunity for them to pursue their passions. As technology transforms the way we work, connect, share and learn, students require new approaches to learning that supplement and enrich our classroom structure. 21st-century skills are used and practiced in GOA courses; students learn to collaborate effectively with peers in other states and countries, to advocate for their learning, and to publish their work and ideas in a format that will preserve it in perpetuity. One in three college students takes an online course. As preparatory schools, we prepare students for what they will encounter in college and beyond. Students report that taking GOA online classes provides an opportunity to reflect on their learning style, making them stronger, more focused learners.